Reluctant sale of a classic and well proportioned farmhouse that has recently been beautifully restored to a builder's finish. A perfect blank canvas, lovely location. Reluctant sale of a classic and well proportioned farmhouse that has recently been beautifully restored to a builder’s finish. 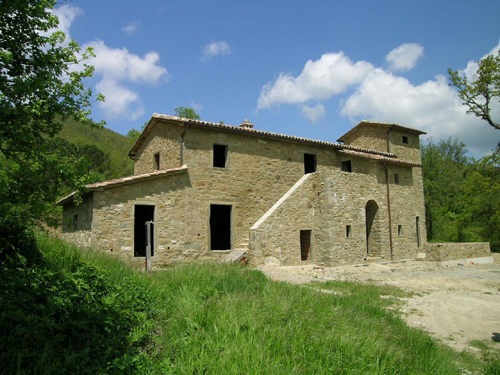 Casa Carletto offers a blank canvas for the potential buyer who wishes to create a personalised finish. 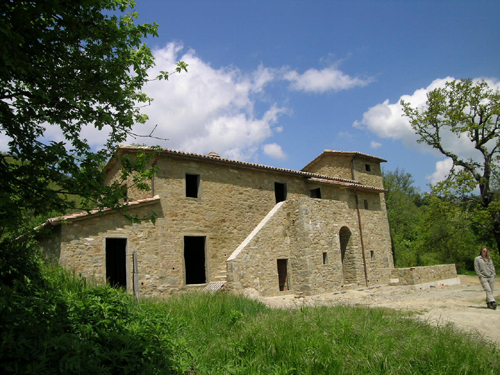 Situated on a Southeast facing hillside and a convenient distance from a fully serviced village, this property is immersed in classic Tuscan countryside and has the perfect balance between isolation and the feeling of being part of a community. 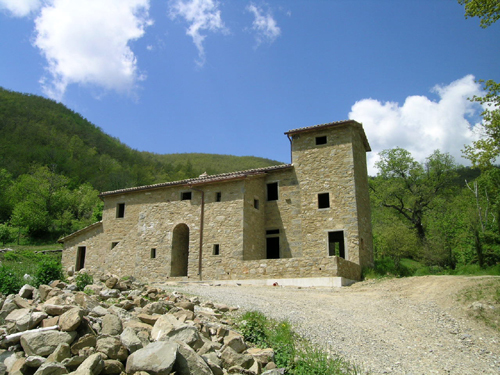 Access is via a white road (maintained by the local municipality) that winds past the daunting ruins of Pierle castle providing a perfect approach to the property which also enjoys an extensive view towards the Niccone Valley. 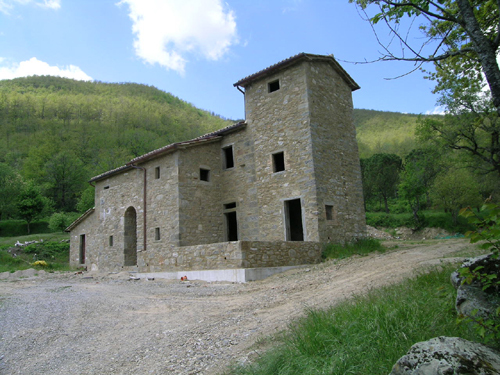 The land has 14 planted olives, various fruit trees and a small pond which is host to a few families of croaking frogs. 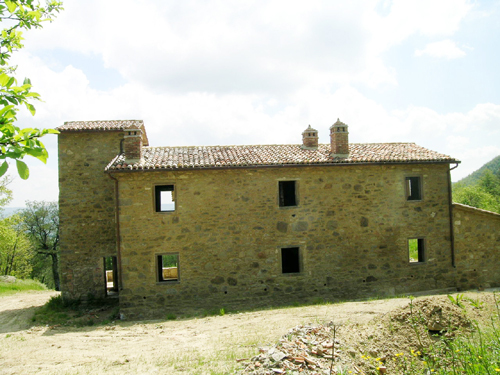 Plenty of space for a panoramic pool and enough flat land for terraces and gardens. There are 6 Kilowatts of electricity and a new well providing adequate water. With what little property there is available in this sought after area, Casa Carletto has to be one of the prettiest available. A comfortable 3 bedroom house seeking a creative eye.